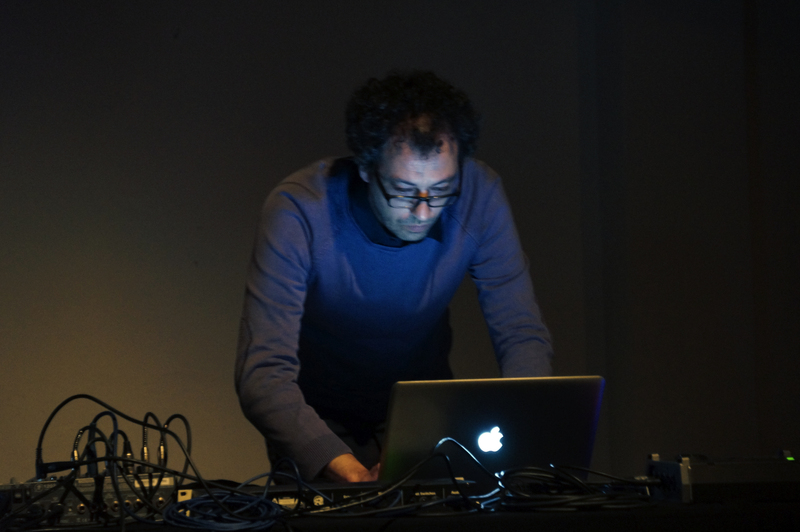 Pietro Riparbelli is a philosopher, composer and sound-multimedia artist based in Livorno (Tuscany). He studies the phenomenology of perception with particular reference to the dichotomy between the visible and the invisible closely connected to his conceptual address of the sonic landscape. His compositions have been published by Touch (UK), Radical Matters Ed/Label (IT), Important (US), Actual Noise/20buckspin (US), Boring Machines (IT), Utech (US), Cold Spring (UK), Gruenrekorder (DE). Riparbelli’s performances and installations have been presented at D’Amelio Terras contemporary art gallery (NY), Equinox Festival (London), Nuit Blanche (Paris), Magazzino d’arte moderna (Rome), Palazzo delle Papesse (Siena), Flora (Florence), Fundació Tàpies (Barcelona), Base progetti per l’arte (Florence), Auditorium Parco della Musica (Rome). 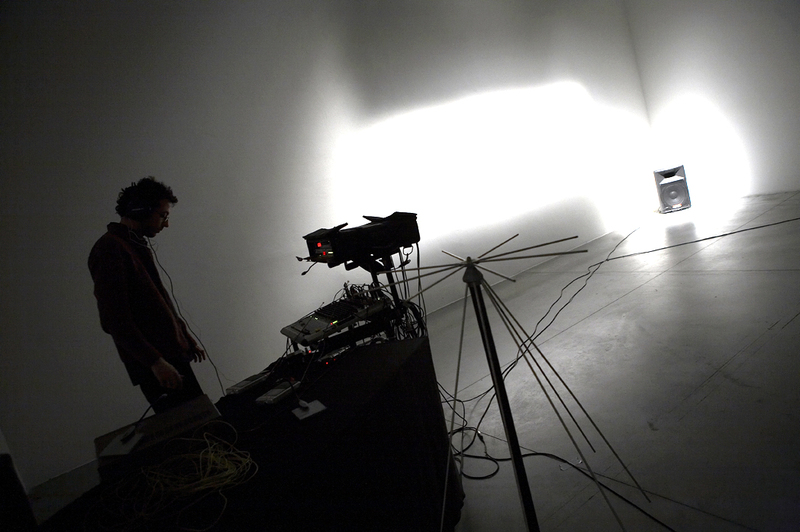 He works with performances, sound installations and recorded works and in the last three years he has been collaborating through selected projects with Massimo Bartolini, Nico Vascellari, Philippe Petit, Fabrizio Modenese Palumbo, Influx, Francisco Lopez, L’Acephale, Christina Kubisch, Seth Cluett, Burial Hex, Yannick Franck and others. He is a curator/executive producer of the independent music label Radical Matters – Editions Label with the new series “Metasound”. 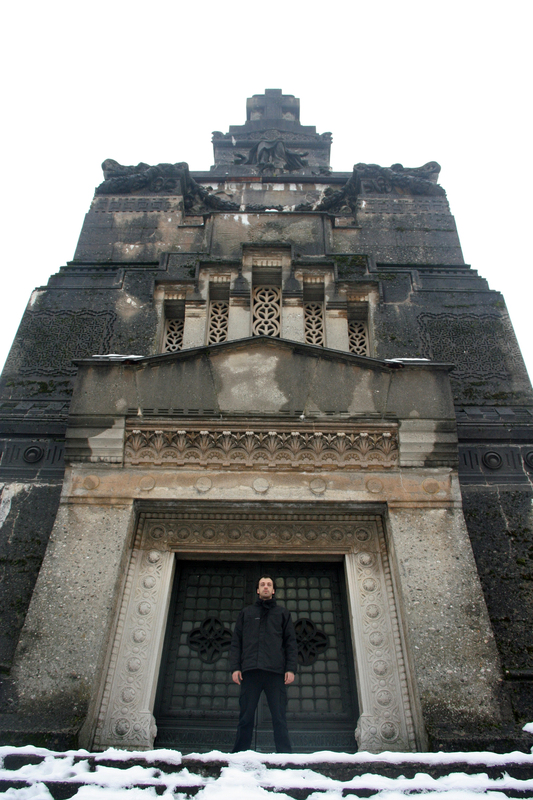 He is the co-founder of the techno/ambient project “Zone Démersale” with the producer Michele Ferretti. When I was young, I listened to bands like Venom and Bathory, all the early black metal bands. Then I modified my listening, and I started enjoying bands like Joy Division. Psychedelic music also – for example, the early Pink Floyd albums were very important in the formation of my own music. At a certain point I began to study and listen to classical music and minimalist music with particular attention to authors like Le Monte Young and Steve Reich that even now carry on to influence my point of view regarding the composition. As far as art related to the sound goes, the most important artist for me is Bill Viola, the American video artist. I think he has a similar outlook to me – he portrays spiritual themes in his installations. I think one of the most important composers for me has been Edgard Varèse because his music has focused on the matter of sound, on timbre and musical space. These elements I think have been important in later electronic and ambient music. I still remember the first time I listened to “Désert”: I remained completely astonished. I think Varese has been able to create a new musical vision describing himself as “a worker in rhythms, frequencies and intensities”. I work mainly with shortwave radio receivers, field recordings and vintage synthesizers; it depends on the project I’ve to realize. I have always been fascinated by radio and by the old short wave receivers of the ‘60s and ‘70s and especially by the fact that they can transmit and receive information thanks to radio signals refracted in the ionosphere for thousands of kilometres with the minimum effort of amplification. Radio waves are all around and travel through us, but we only perceive them through the use of decoding devices. The most interesting aspect of the way I use radio in my work is to search for a lack of information through frequencies; this lack of info then becomes sound and therefore it becomes a different kind of information. When I started working with radio receivers I was shocked by the number of sonic possibilities they could offer me as an artist. The sounds produced by a short wave radio receiver are thrilling and comparable to those of a synthesizer. What I find fascinating is the possibility of the existence of other dimensions that can overlap radio waves and the so called phenomena of “residual waves”, often beyond the reach of our senses and of our technological means. These waves can remain inside a specific place for many years situating themselves at a level of reality where time and space no longer exist; probably at a quantum level. Residual waves can manifest themselves through certain specific phenomena which can be perceived subjectively or captured by a specific equipment. Instead I think field recordings is a great method to reach a great depth within ourselves because it puts you in front of the real world of sound and you are obliged to penetrate this world to achieve the complexities of the sound itself and the vibrations. I find it very exciting composing pieces only with the sound of the world without any musical instrument. What I am trying to accomplish is maintaining the connection between the place of the recording and the composition. For me, electronics are only a conduit. I use computers only for recording and assembling music, not often for composing. I prefer analogue electronics, because analogue allows you to modify the sound to reflect your inner state. I see my music as a flow even though is not so easy for me, describing my art and the process that leads to it. Many artists are able to talk about their works, describing a lot of personal choices. When I’m composing I always try to reach a trance-like state so I can describe only the root that leads me towards the realization of the work. I perceive music essentially as states of consciousness that are not divided from the life. For sure, Three Days of Silence is not only linked to the Cathedrals project but it is an in depth elaboration of the same. It is complicated to educate oneself to the art of hearing, since western culture is so focused on seeing and anything that is visual and doesn’t place the same importance on sound, contrary to what happens in far eastern culture. A sanctuary is a privileged space for this kind of exercise and I can guarantee that spending hours immersed in the silence of such places trying to hear every single variation of the sonic landscape is a mind blowing experience that often makes one perceive silence as anything but silent. As for the monks, I can only say that they are extraordinary people and that they understood immediately what I was attempting to do and were very curious about my work. Naturally, I try to be as discreet as possible during my recording sessions so as not to disrupt their contemplative dimension and the energy released through the act of worship. Often, my recordings inside cathedrals are taken in a furtive manner, almost as if I was trying to steal those sounds without being noticed. This sometimes affects the quality of the recordings, but it guarantees their natural and spontaneous character. I have always been fascinated by sacred places and by the atmosphere of contemplative peace and I have always listened to and recorded their acoustic environments. At some point I felt the need to transform this passion of mine into a proper project directly linked to my activity as a sound researcher. That’s how I started Cathedrals, which is a sort of sound archive collecting material from cathedrals, churches, and other sacred places. This material will be used in other projects such as sound installations or recordings. A first step was the 4 Churches album published by Mike Harding on Touch as a web edition with field recordings from the churches of Saint Germain de Pres, Notre Dame de Paris, the Duomo of Orvieto and the Basilica of Assisi. I subsequently opened up the project to all interested sound artists and I must say I was pleasantly surprised by the level of attention it got. I received many contributions by artists the world over. I consider Cathedrals as a psycho geographic itinerary and at the same time as a linear and collaborative artwork, and not therefore as a simple sound archive since it is something which can develop towards other fields connected to art and the phenomenology of perception. It investigates two different topics. The first one is linked to the historical dimension of cathedrals over time, and especially to their function, as places for aggregation, dialogue and meditation. Cathedrals were sculpted books: they harboured biblical scenes or episodes of local history aiming at educating the faithful and divulging large narratives through a language of symbols. In fact, the architectural criteria for the construction of large cathedrals were linked to symbols and to precise geometric and mathematical calculations. “Divine proportions” were researched, which according to Leonardo Fibonacci (1175-1235) and other mathematicians over the centuries equalled the golden ratio. Cathedrals were conceived as “spaces for sound”, with organs constructed in situ and optimal acoustics devised for chanting.